It often comes as something of a surprise to many visitors to find that we, in South Africa, sang and danced throughout the decade of the 1980’s – a period many agree was one of the most violent phases in the struggle against the system of apartheid, and yet we, the people, sang and we made art fervently during this time. These acts were not merely stratagems for fun but the songs were a part of our arsenal in the fight to secure democratic rights for all and to overthrow the government. 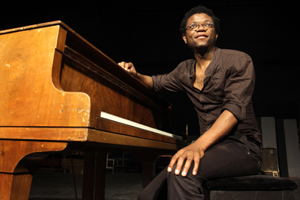 During his talk, Neo Muyanga will present a series of anecdotes and medleys of songs of protest from the era of the 80’s – songs of his youth – juxtaposed against new songs he has composed in response to the challenges of new socio-political realities in South Africa Today. He studied the Italian madrigal tradition with choral maestro, Piero Poclen, in Trieste, Italy. In the mid 90’s he co-founded the acoustic pop duo, blk sonshine with Masauko Chipembere, garnering a following throughout southern Africa and internationally. 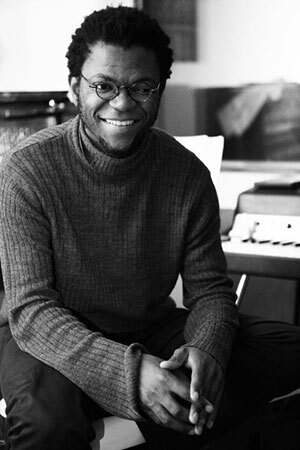 Neo writes music plays, chorus songs and has a variety of works for chamber and large ensemble (his operetta, “the flower of shembe”, premiered to critical acclaim in 2012). He continues to tour widely both as a solo performer and in various band guises. Neo co-founded the pan African space station in 2008 with Chimurenga’s publishing editor, Ntone Edjabe, as a continually evolving host of cutting-edge pan African music and sound art on the internet and across stages in Cape Town and other parts of the globe.